The Asian Development Bank (ADB) is to more than double its lending to Indonesia in an effort to improve the country’s infrastructure sector. Between 2010 and 2014, the Manila-based development bank has lent on average US$740mn per year to the largest economy in Southeast Asia. However, it is now going to boost lending to US$2bn per year for five years. The infrastructure gap across Asia is huge, but is arguably most pronounced in Indonesia, where the government plans to add some US$64.74bn to energy and road infrastructure over the next decade, which would assist in its overall goal of reaching a national GDP of up to US$4.5tn per year. This would bring Indonesia into the world’s upper echelon of developed countries. Currently, it often costs more to transport a cargo of goods within Indonesia than it does to export it. Roads in and out of the country’s main commodity hubs are also plagued by corruption, with exporters often having to pay off local officials on multiple occasions to get stocks to market. The project loans from the ADB are the latest in a long line of work the bank has done in the country. To date, the ADB has lent some US$32bn to Indonesia, in both sovereign and non-sovereign loans. The Indonesian government is also in the process of courting the Asian Infrastructure Investment Bank (AIIB), viewed by some as a China-led rival to the ADB in Asia. In January, the government proposed six infrastructure projects for financing by the AIIB, with a combined value of US$2bn. Focus Economics, a research group, expects the Indonesian economy to grow by 5.1% this year, despite the massive deficit in funding left by the contraction in commodity prices and by China’s decision to stop using “dirty coal” produced mainly in Indonesia. By way of boosting the economy, the government has this month opened up 29 business sectors to 100% foreign ownership. Previously, one of the major impediments to foreign direct investments were rules that required local partnerships or sectoral investment caps. Fourteen of the 29 sectors were previously partially opened to foreign investment. These are: toll roads, non-toxic waste management, direct selling, cold storage, futures trading, restaurants, bars, cafes, sports centres, film studios, film processing laboratory, voice-dubbing facility for film and film copying business and rubber crumb industry. The other 15 sectors were completely closed to foreign investment and these are: film equipment, film editing, film script, film cinema, studio recording, film distribution, telecom kiosks, electronic equipment testing, e-commerce platforms, raw materials for pharmaceuticals, health management consultation and service, health support service (medical equipment rent), clinic laboratory and medical check-up clinic. It remains to be seen how much investor appetite exists for such sectors, but there is certainly hope that further areas of the economy will be open to investment. Those that do business in Indonesia have long been frustrated by the seemingly fickle nature of the national policy, which vacillates between populism and cronyism. To assist with the economic revival, Bank Indonesia (BI) – the country’s central bank – cut its main policy rate by 25bps to 7%. This is being viewed as an attempt to restore strength to an economy which looks set to be further hit by the US Federal Reserve’s series of interest rate hikes later this year. There are widespread concerns about the highly leveraged nature of Indonesia’s corporate sector. Further interest rate movement in Indonesia is expected in the near future. “The lending facility rate and deposit facility rate were each cut by the same amount. We believe that one more cut is likely in this cycle. Thursday’s statement hints that, as long as the recent market calm persists, it is likely sooner rather than later, before US rate hikes come back onto the agenda,” says Daniel Martin, Indonesia analyst at Capital Economics. 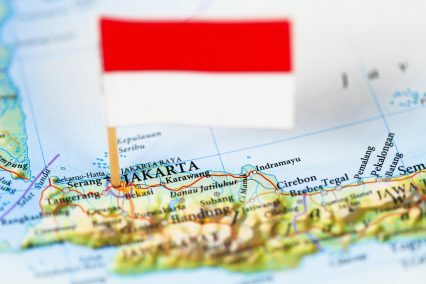 All in all, it seems that the latest announcements from both outside and inside of Indonesia have left analysts slightly more positive about the country’s economy than they were at the turn of the year. Writing in a research note to clients last week, HSBC economist Su Sian Lim said: “BI sounded much more upbeat on the Indonesian economy than in January, when the stronger-than-expected Q4 GDP report was not yet in hand.